We created our first Entity Data Model in the previous section. The visual designer of EDM does not display all the objects it creates. It only displays entities which are mapped to the database tables and views. The Model Browser gives you information about all the objects and functions EDM has created. To open the Model Browser, right click the empty surface of the EDM designer and select Model Browser from the context menu. Model Browser will appear in the area where you normally find Solution Explorer and Properties. The Model Browser contains all the information about the EDM, its conceptual model, storage model and mapping information, as shown below. Diagrams: The Model Browser contains visual diagrams of the EDM. We have seen a default visual diagram created by EDM. You can also create multiple diagrams for one EDM. Entity Types: Entity Types lists all the class types which are mapped to the database tables. Complex Types: Complex types are the classes which are generated by EDM to contain the result of stored procedures, table-valued functions etc. These complex types are customized classes for different purposes. 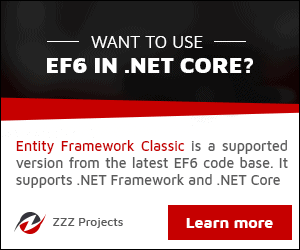 Enum Types: Enum Types lists all the entities which are used as Enum in the entity framework. Associations: Associations lists all foreign key relationship between the entity types. Function Imports: Function Imports lists all the functions which will be mapped to stored procedures, table-valued functions, etc. Stored procedures and table-valued functions will be used as functions and not as entities in EF. .Store: Store represents the database schema (SSDL). Learn about the DbContext in the next section.